As we settle into the first months of 2018, we begin to take a deeper look at the changing face of ecommerce marketing. Technology is growing almost faster than we can catch up, and the ways to implement up-and-coming methods are letting the net be cast wider than ever before. Ecommerce brands are able to utilise the kind of technology that was once reserved for science fiction, and 2018 shows no signs of slowing down with advancements in almost every field of ecommerce digital marketing. Predicting trends for 2018 is not as difficult as it has been in previous years, mainly because today’s consumer is now so open about what they do and do not respond to insofar as marketing is concerned. Customers are savvier now, and look to trends in their social life to influence how they buy. Here, we will take a closer look at the how ecommerce in 2018 will be forever changed by tech, whether it is augmented reality, uber-targeted ads or an even further increase in personalisation. Last year, we explored the potential for video in one of our blogs, and it looks like 2018 will see the trend explode even further. A cursory scroll down the average news feed, regardless of platform, and you will find a disproportionate amount of video. Words have given way to the visual element of sharing stories, and this is now echoed in how brands are choosing to showcase products through video. ‘Video-first’ is quickly becoming the lead strategy for many ecommerce brands that understand how seeing a product in action, and allowing the viewer to visualise themselves as part of the brand culture you represent, encourages sales and breeds a conversation. A study by video production company Wyzowl, shows that 62% of businesses that use video say it has helped increase organic traffic. Moreover, according to Hubspot, just over half of marketers (51.9%) name video as the content type with the best ROI. The consumer figures support this growth as well, with an Animoto study showing 64% of consumers who watch a video on social media are influenced to make a purchase. The statistics also show that video ads have the highest click-through rate of all ad formats, at 1.84%. Why is this? The simplicity of going from the video, to the product, to the payment without changing device is hugely appealing to most generations of shoppers. Digital natives are growing up with an increasingly video-centric news feed, and even the Gen Xers are embracing a simplification of the ecommerce process they had become used to. 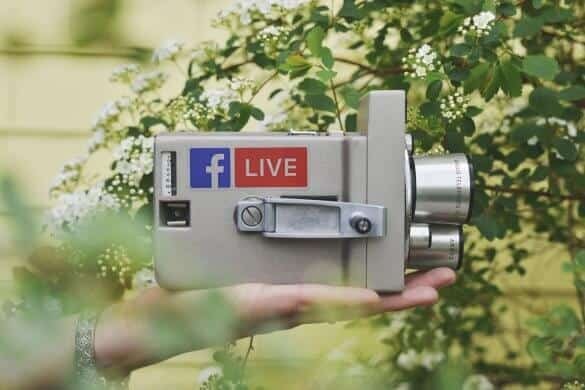 Video is now the primary way many people communicate on social media, whether it’s offline conversations with FaceTime, or video streaming via Snapchat, Facebook Live, or Periscope, and with 80% of all internet traffic expected to be video by 2021, brands will want to capitalise on this by considering video in all its forms as part of their ongoing marketing strategy. Artificial Intelligence is a medium that has gone from Spielberg to Bloomberg in the past few years, losing its reputation as futuristic and frightening, in favour of the obvious real-world cases for which it is highly beneficial. Chatbots are the interface part for some really important technology, such as Machine Learning, Advanced Machine Learning (AI), Serverless and Micro-Service Development. 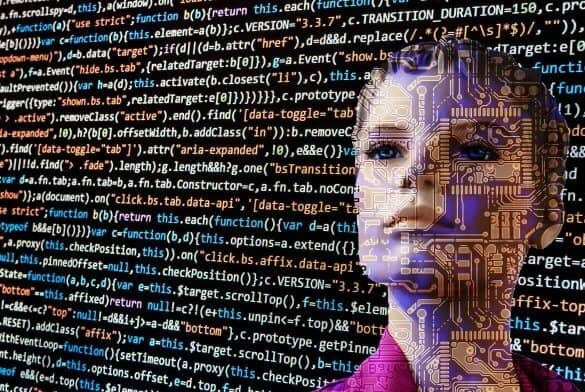 Ecommerce businesses are beginning to utilise AI as a way of communicating with customers in real-time via the channels they use in their personal life. 2018 is expected to see a considerable rise in adoption of this technique as the technology becomes simpler to use and integrate into existing models. This also helps bring about a more personalised experience without the need for a real person on the other end of the conversation. Customer service has often been the Achilles’ heel of a lot of large businesses. A poor experience with customer service can sometimes undercut the product itself, discouraging customers from coming back and from recommending the brand to others. A customer’s previous buying habits can influence a chatbot to recommend other items that may be suitable. The customer can communicate with the bot and lead them straight through the buying cycle to the payment page. Not only does this improve the overall customer experience, but it utilises valuable data in order to tailor the customer’s brand encounter and inspire repeat custom, which leads us on to another trend expected to become more intensive in 2018 – personalisation. Ecommerce marketing is getting personal. 2018 will be a year of tremendous growth in terms of targeted, customer-centric marketing techniques. From location-specific offers to personalised calls-to-action, many brands are loaded with data they can utilise to reach audiences in their droves, without the need for blanket marketing methods. Micro-targeting in simple ways, such as using a customer’s first name in an email introduction, has been proven to positively influence customers. All aspects of a customer’s daily life can be turned into useful data, which can then be used to a brand’s advantage. For example, if it is due to rain in one part of the country, a clothing brand could suggest special offers on outerwear or umbrellas for customers based in that location. “Personalisation is a luxury that marketing experts could only dream of in the past. New platforms and the speed at which we can react to customer’s needs within their brand journey now gives us the tools to ensure that that journey is about the consumer and brand together. Today’s consumers do not like to be sold to. They want to be in charge of their experience and personalisation helps brands deliver this sense of ownership”. Essentially, the customer’s experience is beginning to outweigh the marketing targets of the company. Conversation and brand awareness is no longer the be all and end all – tailored and bespoke experiences are becoming the new kings of ecommerce. If Pokémon Go told us anything, it was that AR was an exciting and easy way to engage with a huge number of people. However, the early adoption and very quick recession of users showed that the novelty of AR wore off fairly quickly, and that AR within marketing must serve a real-world purpose in order to reach its full potential. 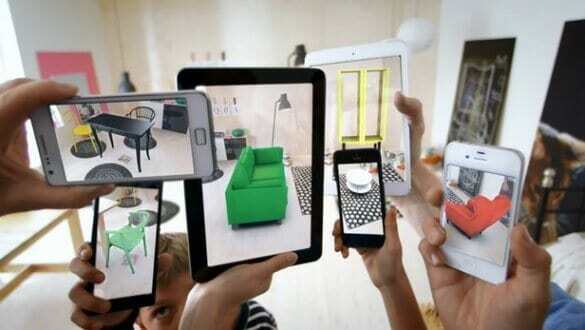 Companies like Ikea, Houzz and Dulux are already using AR to showcase how their products would look in customers’ homes. In 2018, AR will continue to grow as people learn they can digitally try before they actually buy. Further to the aspirational nature of home décor and interior design, fashion ecommerce brands that lack a bricks and mortar location can breed trust by using the technology to allow customers to view themselves in outfits before they purchase. The increase in influencer marketing techniques is astronomical. Instagram has given rise to an entirely new vocation, with people from all walks of life being paid to advertise products through their personal social media streams. Celebrity endorsements have been used for decades – both to a brand’s benefit and detriment. Who can forget George Clooney’s self-deprecating promotion of Nespresso, and who can’t seem to forget Pepsi’s socially tone-deaf advert featuring Kendall Jenner? Consumers are becoming wise to the fact that these celebrities, although aspirational, are being paid to promote a product they very may well not use. Social media influencers remove the sense of distance between a consumer and the product. Authentic images of real people using a brand’s products are far more attractive to customers. 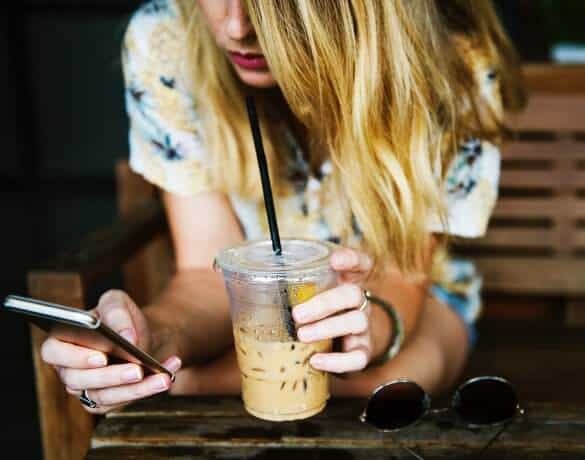 Although influencers are indeed paid, and each post most certainly being carefully crafted, etiquette suggests they use #ad in their caption to add clarity to their posts. Influencer marketing will be on the rise in 2018, but brands are also likely to repost and promote customer-made images and posts. Sneaker brand Vans repost Instagram images of their customers wearing their products, and software developer Adobe run photo competitions, the results of which they post to their page. 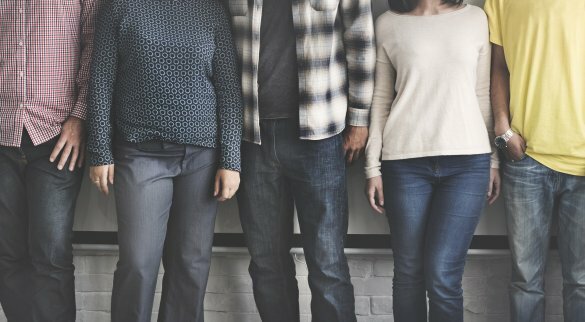 Not only do these techniques showcase the products in realistic situations, but they breed a sense of community and brand allegiance. 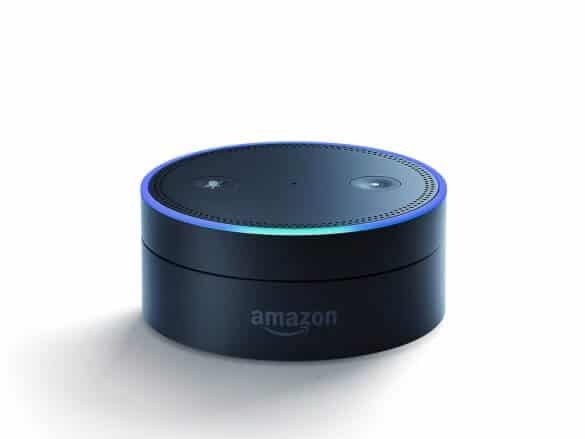 Google Home, Amazon Echo, and Alexa are disruptive forces in the ecommerce arena, offering users a one-stop-shop for information. Research from data analytics company comScore shows that in 2017, smart speakers were used primarily to gather information. 54% used them for streaming music, 57% to find out the weather, and 60% asked general questions. However, 15% used them to find local businesses, 11% to order products, and 8% used them to order food or other services. These numbers are expected to increase as more devices become interconnected, speaking to one another to create a seamless experience for users, whether at home or on the go. The Internet of Things (IoT) is expected to have over 20 billion ‘things’ connected to the internet by 2020, making the industry worth over $1.7trillion. The possibilities for ecommerce brands are extensive. For example, your Fitbit can send your workout data to a company that can offer you special discounts on healthy snacks and drinks. Or, another example would be your fridge directly ordering your milk as soon as you run out. While it all seems a bit Minority Report at first glance, the IoT is intended purely for simplicity and connectivity. It remains to be seen how brands will capitalise on this going forward, but the technology is here, and it may be time to start figuring it into ecommerce strategies. Many people say marketing is the greatest artform of the 21st century, tapping in to audience emotions and bringing them products companies think they need. However, as we move into 2018, there will be less thinking necessary. Consumers are telling businesses, and thereby marketers, what they want through data, behaviour, and the increased visibility of reviewing. Head of Digital for Gravytrain, Jasmin Dreher, says that simply having an audience, even if it’s the right one, is no longer enough. Simply put, the technology has finally caught up with consumer sentiment, and just positioning your brand in front of the widest catchment of people is no longer enough. Consumers are signalling they are tired of being marketed to on a grand scale, moving to a perception that businesses need to know them, and the way they shop, in order to keep them coming back. The market for impresarios starting up ecommerce businesses is an open one, with platforms like Etsy enabling anyone with an idea and a product to become an ecommerce entrepreneur. Brands need to become as savvy as their shoppers, and utilise every avenue in a way that speaks to the individual. This is not to say there is not a hive mind aspect to reviewing and judging brands. The potential for virality, both negative and positive, has increased exponentially. Take H&M’s recent faux pas involving the eponymous hoodie – the speed at which the advert and its accompanying outrage spread was akin to wildfire, and it resulted in the loss of a major celebrity endorsement in musician The Weeknd. This has highlighted a desperate need for large brands to be more sensitive to their demographic, which should hopefully influence a deeper respect and education about what makes people tick. This can therefore lead to better marketing, better targeting, and a higher level of trust. With audiences more ‘woke’ than ever, it is integral that brands and marketing agencies now look at what matters to the individual, rather than the majority.